Jesus, Mary and all saints, I pray for my parents health, peace, joy and happiness. 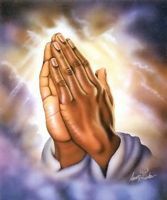 I pray for my sister and bro in law for better job, health, peace. And as my sis is expecting a child please pray. Prayer for my younger sister for her better job, peace and happiness, I surrender myself and heera for our marriage on 07th may 2012, pray that all goes well and also pray for you better future together.